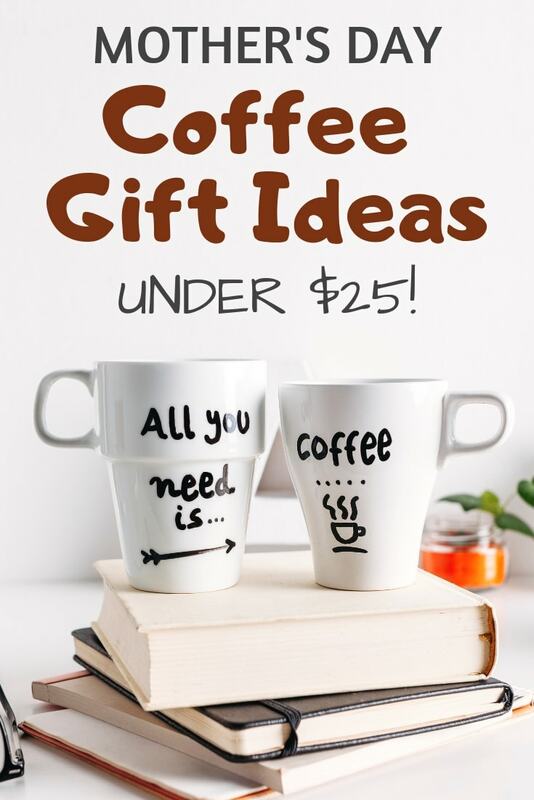 Grab these cute All About my Mom Printables for Mother’s Day! Admittedly, our LG is still a bit too young to use an All About my Mom printable for Mother’s Day this year, but I got excited and made a bunch of them, anyway! Next year she should be able to do one with help, so I thought I’d go ahead and make some while they’re on my mind. 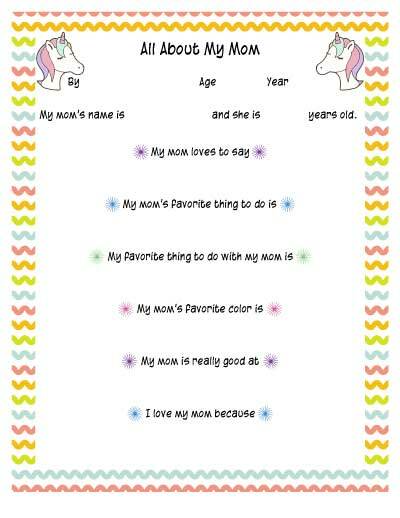 I had so much fun designing this questionnaire for Mother’s Day, which is why there are five different versions. The questions are all the same, but the graphics are different because I know that us moms are individuals who have our own preferences. Hopefully one of them suits you! As regular readers know, I love mermaids. I had to make a version of the All About my Mom printable with mermaid scales! And, finally, there’s a unicorn version! Filling out an “about my mommy” survey is so much fun. Or, more accurately – it’s really funny to hear your child’s responses! Younger children will need help reading and/or writing to fill out the worksheet, but older kids should be fine on their own. 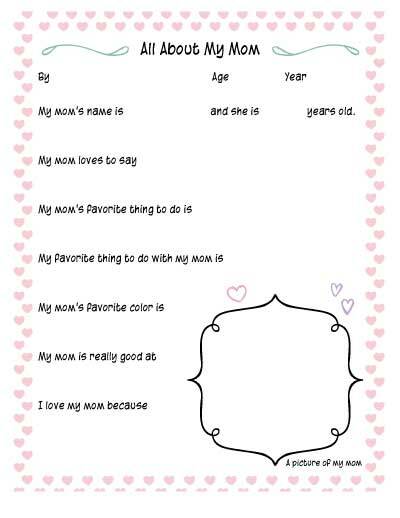 These All About my Mom fill in the blank printables are great for classrooms, Scout troops, or having your own children fill out. I know that most of my readers are women – don’t be shy about printing one out and asking your kiddo to fill it out with you! Each of the printables has a border because a lot of people don’t have borderless printers. (If you do have a borderless printer, feel free to scale up to fill the page!) You can leave the print out as is, or trim away the white border to have an 8×10 printable you can frame. 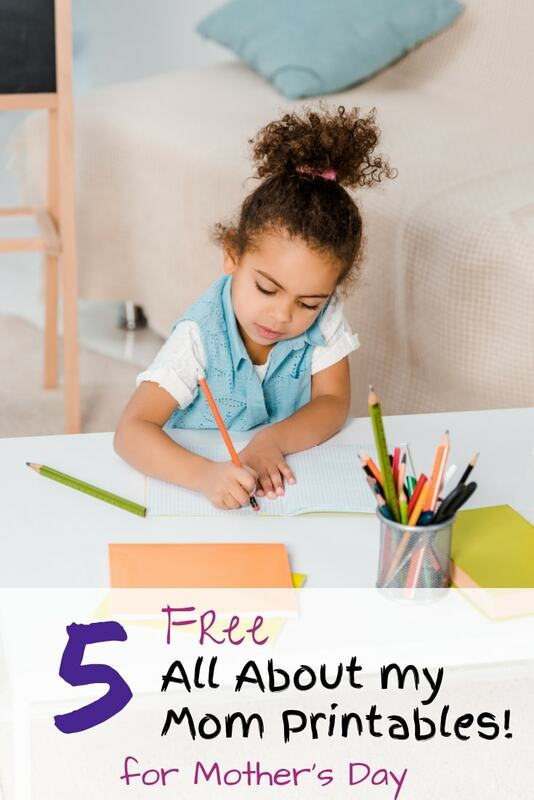 Grab your All About my Mom Free Printable! All five version are available for free, I just ask that you become an Artisan Life member. Just subscribe using the box below and download away! If you’re already an Artisan Life member and have the Resource Library password, you can just log in and grab it there. 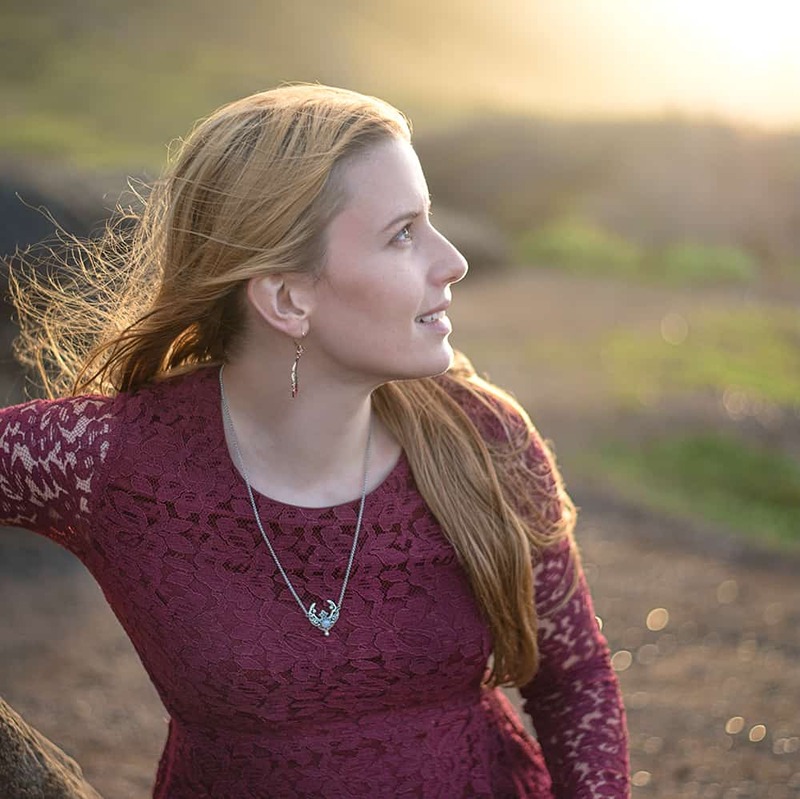 If you’re already a subscriber but don’t remember the password, no worries! Please sign up “again” using the form below. The confirmation email will have the password for you and you will not be double enrolled in the main site newsletter. Please feel free to use these printables with your family, friends, class, scout troop, etc. Print your printables and trim them down, if you’d like. Have your child fill out the survey. If you do want to cut the worksheet down, I highly recommend using this paper cutter. The guide wire makes it easy to tell where you’re actually cutting and the fold-down arm makes it easy to store. I’ve been using mine for 4 years and it’s still working great! Many moms like to keep their printables and read them again each year on Mother’s Day. You can have your child fill out the same worksheet year after year and see how their responses grow and change! To keep your printables safe, consider laminating them or hole punching them for a binder. If you’ve trimmed yours down to 8×10, you could also frame it! I am totally open to making more of these about my mommy printables – please let me know if there are other questions or designs you’d like to see! Just in case you missed the form above, here it is again! 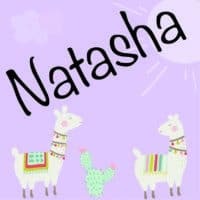 There are a lot of great things for moms with young children here on The Artisan Life! 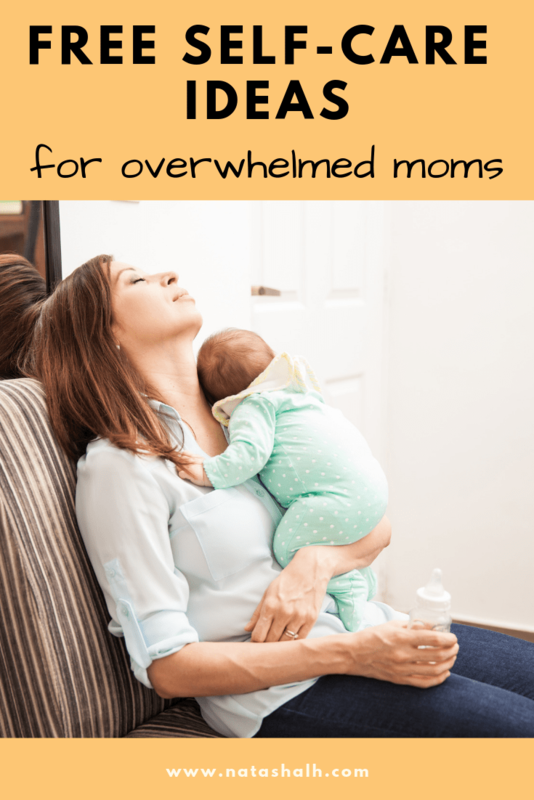 If you really need to recharge, check out these free self-care ideas for overwhelmed moms. 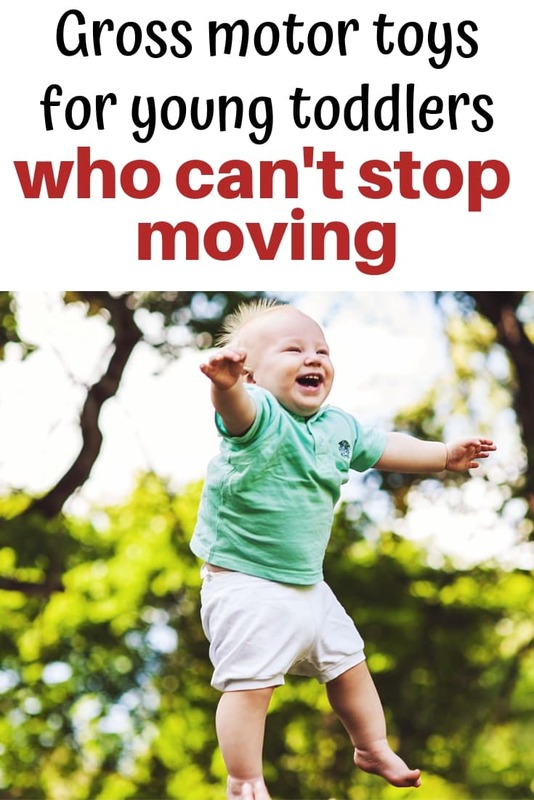 And if you really want your toddler to burn off some energy, check out these awesome indoor gross motor toys for toddlers! Again, please don’t be shy! If you would like to see other versions of this printable, please let me know in a comment and I’ll see what I can do! I hope you enjoy filing out this worksheet with your little one and have a lot of fun reading their responses!